With the evolution of web and marketing technologies, businesses have become more focused on delivering superior user experiences through easy to use web-based platforms. This change has made the role of IT even more vital. 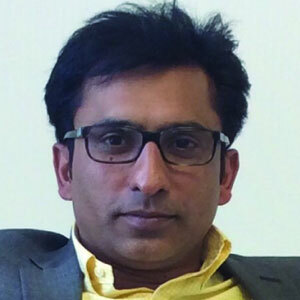 Saven Technologies, a knowledge-based consulting and technology implementation company, focuses on improving business results through technology-enabled transformation solutions. “We are a boutique consultancy, providing solutions through technology, enterprising, products, and outsourcing, to add value to every industry through unique web development expertise,” asserts Manohar Matta, CEO and President, Saven Technologies. The company concentrates on the business of building professional, customized, and affordable web solutions that deliver scalable results and helps clients find ways to succeed in today’s extended enterprise environment. Offering technology consulting and outsourcing services, Saven also develops products and reusable components complementary to its services that enhance immediate and measurable value for clients. “Our customer-centric business model involves extensive market research, which keeps us on the cutting edge of performance and delivery,” says Matta. Saven’s Research and Development (R&D)center explores concepts and new technologies through an internal development program. Centered on customer retention, quality services, and innovation, the firm specializes in design and development of cloud, web and mobile applications and delivering on-time results with outstanding customer satisfaction. Being a firm believer of constant innovation, Matta extols, “We offer a buffet of solutions and services to many industries, and are able to deliver projects, globally, using the latest technologies”. As the technology world moves to accommodate more global demands, Saven provides a complete range of services leveraging its domain expertise.The Chicago-based firm imparts mobile and application integration services, custom software development, re-engineering, real-time monitoring and risk management on iPad for asset management, and business process outsourcing that spans business and technology consultancies. Our customer- centric business model involves extensive market research, which keeps us on the cutting edge of performance and delivery. The firm carefully collects and documents client’s requirements and develops comprehensive project plans that effectively implement, manage, and deploy within project time and cost constraints. Saven uses real-world expertise and information technology experience to help clients solve their business challenges, through development and systems integration services. On numerous occasions, Saven has aptly engaged with a client in a more transparent, flexible, and efficient way to meet their business needs. As organizations need their apps and websites localized, Saven implemented a project across 142 countries, by developing a centralized accounting software. Since every country has its own taxing and accounting governance, standardizing the system and building it to be configurable was a challenge. With constant development and investment, Saven designed and built a user-friendly solution, which incorporated latest technologies to deliver a high quality product. “We strive to maintain a supportive environment, which is conducive for growth and innovation,” says Matta. In the coming years, Saven is looking to create world-class technological solutions to address the need for unique expertise in web development—pioneering a new path. “Having worked relentlessly to align Saven with the latest market trends in technology, we have our sights set very high, for the future, foreseeing the benefit in reinvesting profits and driving growth through our client relationships and delivery,” extols Matta. Expanding its products and services internationally, the firm aims to move ahead in a direction that would be more scalable, providing improvised functionalities to operate business systems. “We intend to deliver ingenious technology with the passion to enhance every client’s productivity by managing and securing their data to simplify workflows,” concludes Matta.